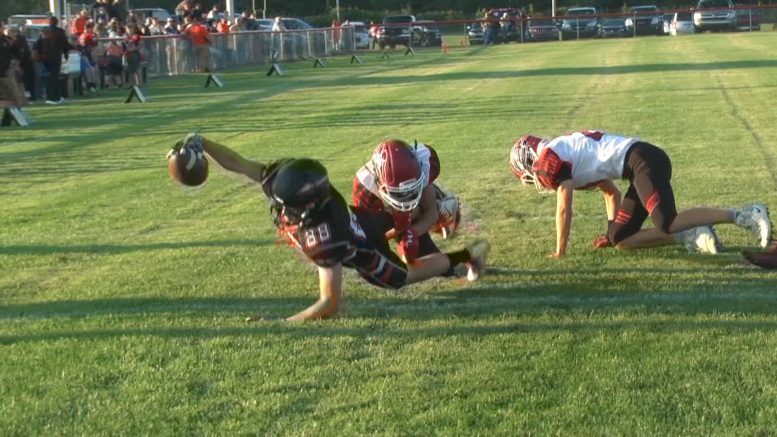 Rogers City's Jeff Ellenberger scores touchdown against Tawas. Michigan (September 11, 2018) — The first Associated Press high school football rankings for the state of Michigan have been released. Check out the top 10 rankings for each of the eight 11-man divisions and the top 5 for the 8-man football division. Others receiving votes: Camden-Frontier (3-0) 16. Suttons Bay (4-0) 15. Morrice (3-0) 14. Posen (3-0) 9. Rapid River (2-1) 8. Engadine (2-1) 8. Kingston (3-0) 7. Hillman (3-0) 6. Au Gres-Sims (3-0) 6.